At Islander Taxi Service, Inc., we strive towards building partnerships to bring forth positive and effective change within the tourism industry in the U.S. Virgin Islands. We are pleased to introduce you to an informative online travel guide, Travel St. Thomas , and encourage you to visit their website by clicking on the logo below. There are lots of deals on St Thomas vacations available online, so plan your next trip today and let Islander Taxi Service show you all our island has to offer. 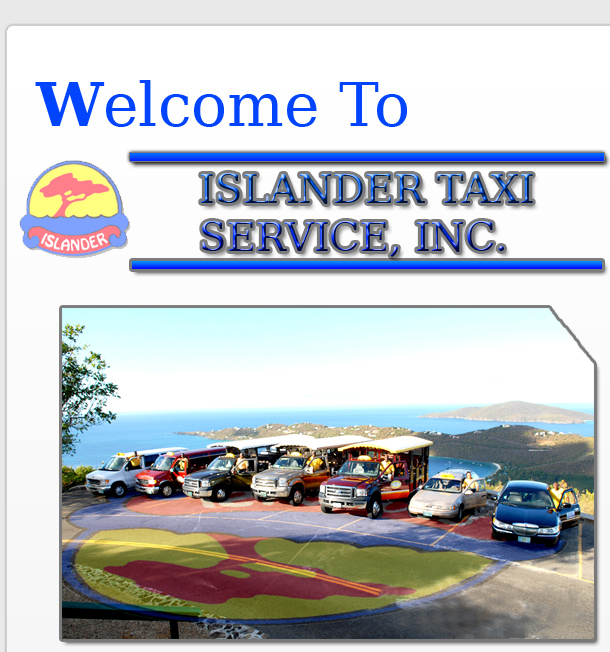 © Islander Taxi Service, Inc.